Gardeners often try to get rid of the slugs in their gardens. That slug Joe never does anything! The police officer got a slug in her shoulder during the shootout with the robbers. Martin put another slug in the slot machine. Patsy took another slug of whisky. The boxer slugged his opponent. The player slugged the ball right out of the field. In journalism, a slugline is an identifying title used with the draft of a story that should be taken out in the final print copy. It is so named because a slug is also a metal bar used as a division between lines on a Linotype printing machine. 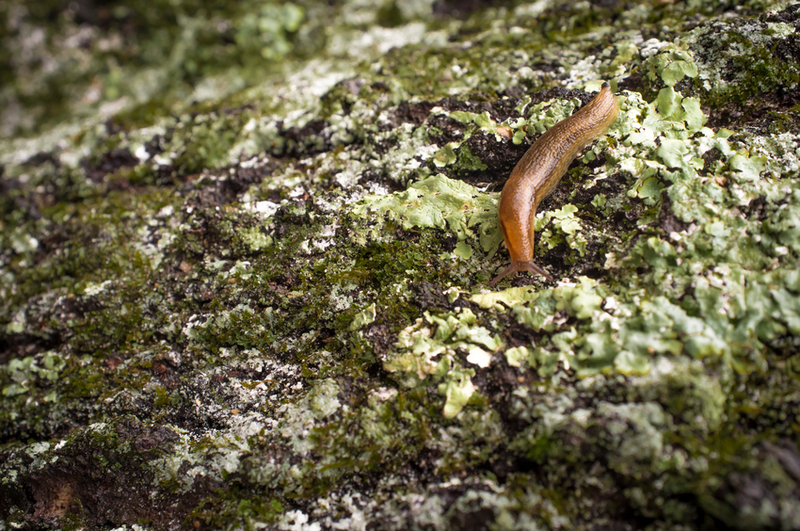 Slug dates back to the late 14th or early 15th century. It appeared as the Middle English noun slugge or sluggard, meaning ‘lazy person,’ and probably came from a Scandinavian dialect. It is similar to the Norwegian dialect noun sluggje, meaning ‘heavy or slow person.’ It only became the name of a snail without a shell at the beginning of the 18th century. The meaning of ‘hard blow or punch,’ related to fighting or sports, appeared in the early 19th century, and the verb appeared around the same time.